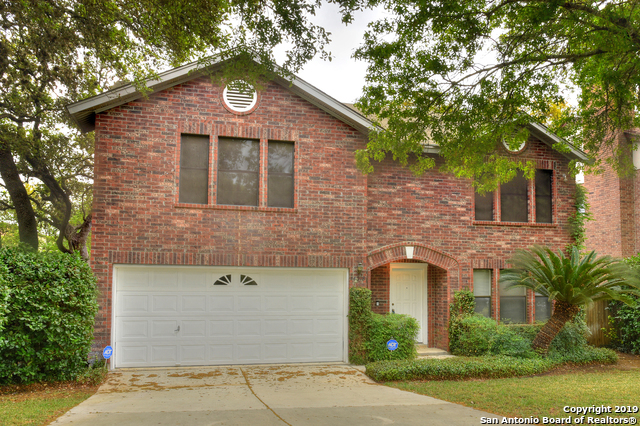 All COLLEGE PARK homes currently listed for sale in San Antonio as of 04/24/2019 are shown below. You can change the search criteria at any time by pressing the 'Change Search' button below. "Pride of ownership shows throughout this 3-Bdrm 2-Bth home located in the highly desired & conveniently located neighborhood of College Park. Home's entry showcases formal living & dining room. Island Kitchen opens up to LR w/fireplace & french doors that lead to backyard. Over sized Master bdrm has private sitting area. Mstr Bath has dual vanity and separate shower/WP tub. Home offers quick access to hwys 1604 & I-10 and is minutes away from UTSA, USAA, La Cantera, & The Rim. 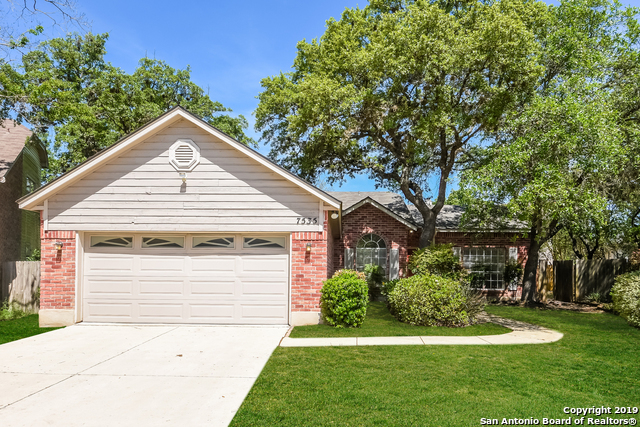 Schedule your show"
"This San Antonio one-story cul-de-sac home offers stainless steel appliances, master suite with separate tub and shower, backyard patio, and a two-car garage. Upgraded features include new carpet in select rooms and fresh interior paint."